Engineered specifically to enhance the subtleties of portraits, the new Silver Pearl media provides incredibly natural looking skin tones while softening edges to deliver a fine art look, and is the new first choice for wedding photos, photo albums, birth announcements, unique invitations and greeting cards. 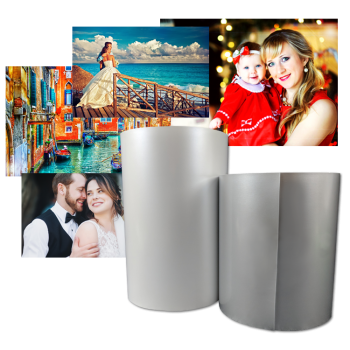 Weddings – Silver Pearl is a great option for wedding photographers to create excellent photo albums. Portraiture – Fantastic choice to create family and pet portraits. Announcement cards – Unique greeting cards, birth announcements.